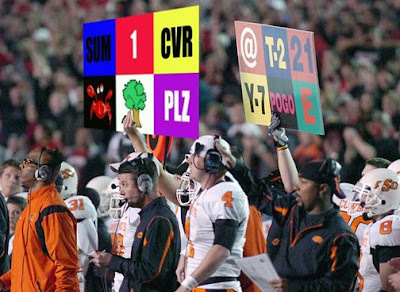 If anyone has watched an Okie St game, you've probably seen their... ummm... rather elementary way of calling plays in to their players. 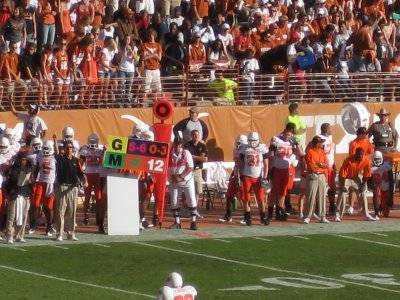 Mike Gundy may be 40 41, but the kids certainly are not. Apparently bright colors and big pictures are more on their level. And in yet another reason to put on the books of why the internet is the greatest thing to ever happen in the history of the world, check out what play the Cowboys should have been calling last Saturday night.